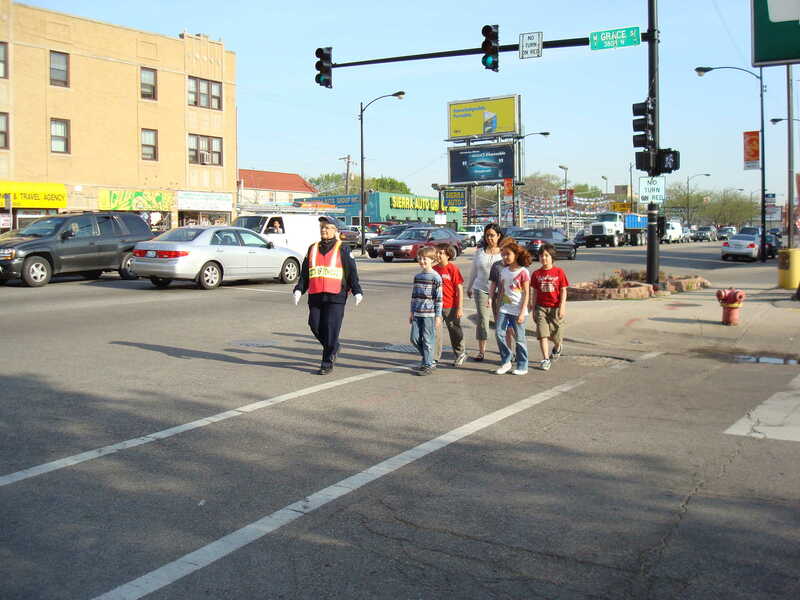 The distracted walking ordinance proposed by Ald. Burke and Beale at Wednesday’s City Council meeting misdiagnoses the problem contributing to traffic deaths involving people walking. The ordinance proposes fining people who are crossing the street while using a mobile device “in a manner that averts their visual attention to that device.” The fine would be $90 for the first offense and $500 for the second. Active Trans encourages everyone on our streets to travel safely, but fining people who are legally crossing in the crosswalk – no matter what they’re doing – would not make our streets safer. People walking are at risk because of careless drivers and poorly designed streets, and that should be the focus. The law already requires cars to stop for people walking in the crosswalk regardless of what they’re doing. This ordinance would inappropriately redirect the onus to vulnerable people walking. See coverage of our position on the ordinance in the Sun-Times. Too many of our streets are designed to encourage speeding and crossing them can be dangerous. We should be redesigning our streets to encourage safe speeds and safe turning actions for cars, while providing extra protection for people walking and biking. The city’s Vision Zero Action Plan rightly prioritizes street redesign, but currently there’s no additional funding to make it happen. Active Trans is working with partners across the city to push for a Vision Zero Fund in the city’s annual budget to implement the action plan and build more capital projects on high crash corridors. Watch a report on the ordinance and our position on WCIU. The ordinance would give police officers additional reasons to stop people on the street, and potentially abuse this power by targeting people of color. Onerous, regressive fine structures like this one also place unfair burdens on low-income residents, many of whom are people of color. Our streets are safer for everyone when more people are walking, biking, and riding transit – and this ordinance does nothing to encourage that.